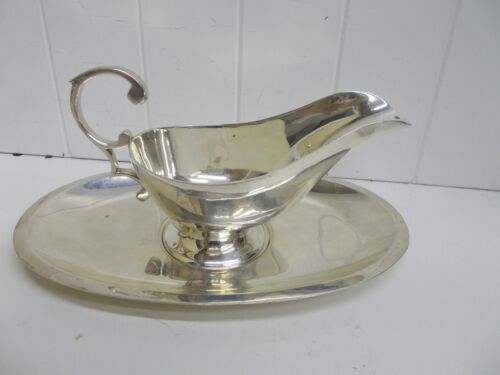 Sugar Scuttle with scoop. 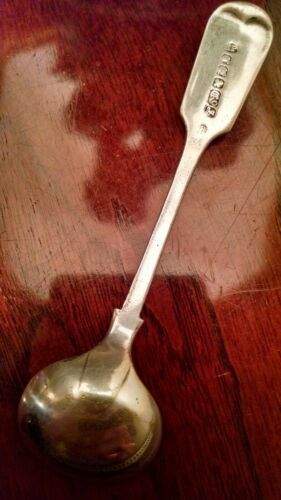 Silverplated. 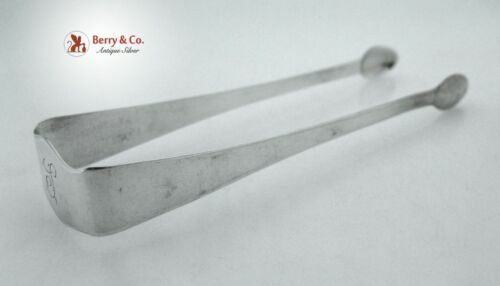 REED & BARTON STERLING SILVER SUGAR SPOON FEDERAL: NO MONOGAM 6 1/4"
(8) REED & BARTON STERLING SILVER SALAD FORKS FEDERAL: NO MONOGAM 6 5/8"
(5) REED & BARTON STERLING SILVER DINNER FORKS FEDERAL: NO MONOGAM 7 5/8"
7" Silver Gravy Ladle 19C Fiddle Tipt Pattern E.P. Sheffield England Marks W.H. 4Pc. Set of Montclair Hotel NY. 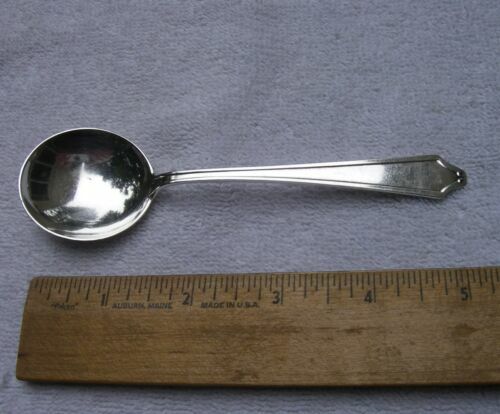 Small Spoons Made by Federal 1928s. 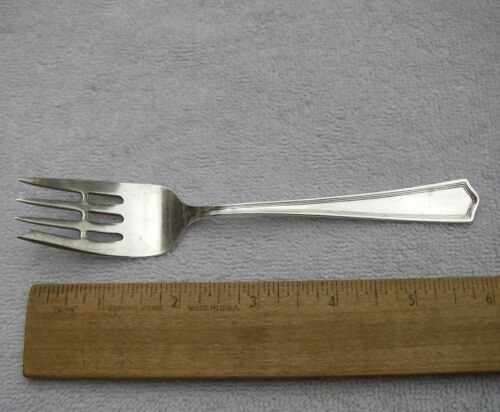 Lunt Sterling Silver ELIZABETH WINSLOW, Baby Fork and Spoon, Both or Choice, "E"
Mystery Berndorf? 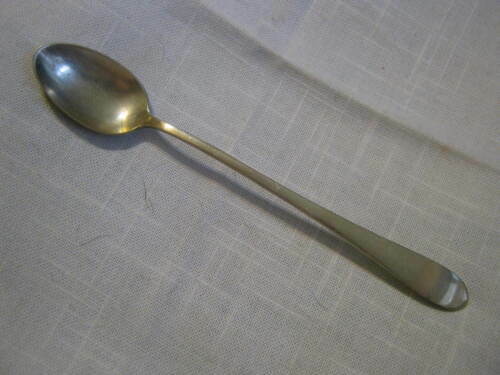 GERMANY Alpacca Bear Mark 9 1/4" ASPARAGUS SERVER, *APANTERT ?